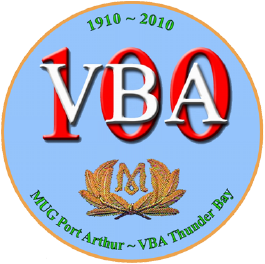 Eight Canadian Great Lakes marine radio stations were in operation by 1914: VBA Port Arthur, VBB Sault Ste. Marie, VBC Midland, VBD Tobermory, VBE Point Edward, VBF Port Burwell, VBG Toronto, and VBH Kingston. The Department of Naval Service (DNS) was now in charge of the licencing and control of the stations, but the Marconi Wireless Telegraph Company of Canada ran them under a sole-source government contract, and employed and trained the radio operators. Each station was spaced about 300 km apart from the next, this being calculated as the optimum daytime coverage range. Many changes in technology and procedures had been made over the past few years. 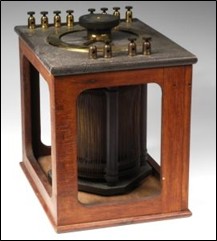 The early wireless coherer detector was replaced with the Marconi magnetic detector or “Maggie”, and it would be replaced by the Fleming valve—the electron tube detector or “diode”, and later by the DeForest Audion or “triode”. Mandatory (Morse code) 3-minute silence periods on the quarter and three-quarter hour were introduced (late 1912), and all radio operators were required to stop whatever they were doing and listen to 500 kHz (600m), the new international distress and calling frequency, for distress calls, and SOS became the international distress signal. During WWI, troops were assigned to guard radio stations and port facilities to protect them from enemy sabotage. In 1918, the Great Lakes stations began scheduled marine weather broadcasts with each station given its own broadcast time slot. Ships could look up the call sign or name of any wireless station in the world, and obtain the broadcast times, and other information (working frequencies, hours of operation, antenna locations, etc.). Ships could now take directional bearings, not only visually to a point on land, but also via radio (when land wasn't visible) and obtain their positional fix or "QTH". Ships could call a coast station and request a "QTG" signal (two 10-second dashes), and by using a rotatable loop antenna and at least 2 radio stations, bearing lines from each radio tower's advertised positions could be drawn on a chart and plot the ship's position where the lines intersected. Two-way radio communications are still via the Morse code (using rotary spark-gap transmitters), and new British designed Q-codes were used for brevity in sending common radio phrases, to overcome language barriers, and later expanded to use by aircraft wireless operators and airports. For example: QRD?" means (in all languages) "Where are you bound for?" "QRD HAVANA" is one possible reply. Marconi Auto Alarm ca. 1920. Copyright University of Oxford. Used with permission. Morse code radio room clock, showing silence periods and auto alarm key down timing marks (red curved lines). The green coloured (on the hour and half-hour) voice radio silence periods were created in the 1920's). Courtesy Joe Tyburczy, WB1GFH. The "Automatic SOS", “Sea Guardian”, or "Auto Alarm" was one of Marconi's most ingenious ideas resulting from the TITANIC disaster. Many ships only carried one radio officer, and a way was required to maintain the now required guard on the international distress frequency (500 kHz) during the operators off-duty hours and alert them to another ship in distress. On the distressed vessel, the on-duty radio officer would first transmit (on 500 kHz), twelve 4-second dashes with 1-second spacing, wait 2 minutes (if possible), and then send the distress signal and message. Morse code Auto Alarm receivers are activated by the long dashes and ring a bell on the bridges and radio rooms of all ships in the reception area. The 2 minute pause allowed off-duty radio operators (or those engaged in other activities) time to get to the radio room and copy the distress message. The ship in distress would send the message repeatedly until it was acknowledge by another ship or coast station. Marconi Magnetic Detector (“Maggie”) in use on both land and sea between 1903-1918. Copyright University of Oxford. Used with permission. One of the advantages of the Maggie receiver was that it didn't need any warm-up time like tubes, it was 3 times more sensitive than the old coherer detector, and a step above the cat's whisker detectors used by radio hobbyists. Its one disadvantage was that headphones (“cans”) had to be worn continuously when in the radio room (“shack”). The coherer receiver circuit, on the other hand, could drive a Morse sounder or ticker tape using a Fleming valve detector so the radio officer could go about other duties in the shack, but it sacrificed sensitivity for convenience. Marconi Bellini-Tosi Direction Finder ca. 1913. Copyright University of Oxford. Used with permission. 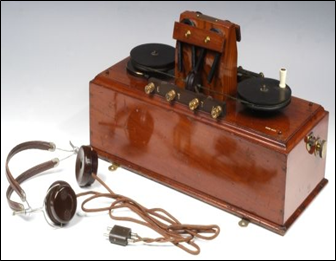 Developed just before WW 1, it was used for locating enemy wireless land stations, German submarines, surface naval vessels, and even Zeppelins sending messages back to the home front!